Since April of 1999 we have been a group of online friends dedicated to having fun playing online games, believing in sportsmanship and friendship over competition and schedules, as well as participating in many other online activities. The release of Starsiege: Tribes in late 1998 spawned a great need for online gaming teams with it's focus on team play based tactics. Tribes was one of the first multi player games that emphasized team play in wide open landscaped worlds, and one of the first online multiplayer only games. After a few months of playing this addictive game, a handful of online friends who enjoyed playing Tribes together decided they needed a home and thus The Hounds of Zeus were born. Originally hosted on a Tripod free web space with a few pages and an ezboard account they soon made a comfortable home. Soon many joined this great group for friends and they needed a bigger home and that spawned thzclan.com where they have lived since. Starsiege: Tribes, a great multi player team based game, brought many together under the THZ* flag and soon The Hounds of Zeus had enough to field a team for the Blood Eagle Mini League. THZ played in the BEML for Tribes season 3 at the end of 1999 and formed an allied team, DogFish, with the XMEN for season 4 in 2000. After failing to consistently field enough people for a team, THZ members realized that they were more interested in just hanging out and playing together leisurely rather than competitively and dropped from the competition scene and continued to play Starsiege: Tribes on public servers. Many of the members of The Hounds of Zeus also join the Dragon Talon Mercenaries, a guild dedicated to play with honor, integrity and good sportsmanship. With the release of Tribes 2 many of The Hounds of Zeus migrated to this new game, leaving few if any playing Starsiege: Tribes. This new game sparked interest in some of the members to play competitively, however this number was still too low to field a full team for the league. The few members of The Hounds of Zeus who wanted to compete teamed up with the XMEN Clan to play T2 season 4 under the XMEN flag. With the end of season 4 also once again brought the end of competitive play for the majority of THZ. Again, The Hounds of Zeus plenty content to keep the family atmosphere on the forums and IRC and play Tribes 2 non-competitively. Members of The Hounds of Zeus followed the development of PlanetSide with a couple playing the exclusive beta and many testing the open beta. THZ formed an alliance with 4 other clans in August of 2002 to play with increased numbers as Vanu Sovereignty on the Markov server. A 6th clan, which mostly came from the UT community, has since joined the Allied Tribal Forces as well as many independent players. Tribes: Vengeance brought The Hounds of Zeus back to the Tribes franchise. Many THZ will played during beta and a few after release. Tribes: Vengeance looked promising however the gameplay was not enough to make THZ an active force in the Tribes community. Lineage II is a beautiful game with tons of content. Some of the members of THZ picked up this game and due to server lag and ping some joined Kain server and some Gustin. Interest in the game faded quickly due to the amount of grinding required and some members cancelled their accounts, however with balance changes and content additions, members may be available to reactivate their accounts. With interest in Lineage II fading, some of the THZ members picked up or reactivated accounts for SWG and are playing under the guild name of Cerberus with other non-THZ players also from Lineage II. 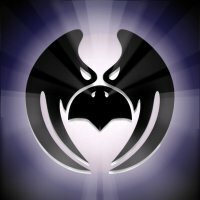 With the THZ membership in a gaming flux where one game cannot be decided on, some have picked up City of Heroes and have been teaming up with members of Tappa Kegga Brew in an effort to save the planet from evildoers supreme. The Hounds of Zeus, no matter the game, is a great family oriented group that is dedicated to good sportsmanship and playing games for fun. When we originally started the group we were solely Tribes players, since then most have migrated to other games with most THZ making the effort to pick up the same games as other members. Now we are mostly a forum/chat clan whose members try their best to play together when they can, but are not destroyed if they cannot. Where most clans die when the game base splits, THZ has stuck together to create a fun and unique environment.